News is coming across the Twitter that writer Diana Wynne Jones passed away in the night; I imagine it will be confirmed by official sources soon enough. I have no connection to Jones other than as a reader, but I think that’s enough to celebrate her life and mourn her passing. My favorite book of hers was one called Dogsbody, in which the personage of the star Sirius, accused of murder, is sent to Earth, where he has to live in the body of a dog, and in that form discover the truth about his situation. It’s a genuinely wonderful book, with strong characters, a good plot, and a fine melding of both science fictional and fantasy elements. It was one of the first science fiction books I read as a child, along with the Heinlein juveniles and L’Engle’s Wrinkle in Time series, and I have to say I am indebted to Jones (and to L’Engle) for being in the right place in the right time for me as a young science fiction reader, since the excellence of their books, and their importance to me in my understanding of science fiction, meant I was able to skirt around the chauvinistic shibboleth that science fiction was by and for boys only. It was nice to have been inoculated against that at an early, and influential, age. I still own the book; it’s in my daughter’s library now. Others who knew her and her works better than I will have more and better things to say about her and her writing. What I can say is that from an early age I was grateful to have read her, for all sorts of reasons, not the least of which was that she was a very good writer who gave me a work I treasure. Thank you, Diana Wynne Jones, for your books. You are remembered, and fondly. Very sad. I checked her website recently but I knew that her health had been failing after she chose to stop chemo. She was a lovely and charming woman and her books were wonderful. Sadly I have not read any of her books, but I do know that one of my favorite animated films, Howl’s Moving Castle, was adapted from the first book in a trilogy that she wrote. I, too, loved reading “Howl’s Moving Castle”. My favorite book of hers was “The Homeward Bounders”. It was the most amazing book I’d ever read when I finished it. I’ve gone on to read other great books since then, but that story sticks in my old brain until this day. You will be missed, Diana Wynne Jones. Thank you for your gift to the written word and to us, the readers. I’ve loved her books for years, read them to my children and introduced them to students at the library where I worked. The kids voted “Witch Week” one of their favorites for the year. She was a wonderful writer whose books could be enjoyed by all ages. My own favorites–well, I liked them all– were “Charmed Life” and “Eight Days of Luke, ” a very clever take on Norse god Loki. May she be at peace. The Chrestomanci series is my personal favorite, with the Howl series a close second. Thinking about it, I realize that I’ve been reading her work since I was fairly young, and that her books were the ones I always buy immediately, being unable to wait until they go to soft-back. She’s always been one of my inspirations and I’m going to miss her terribly. Sorry but not surprised to hear the news. I’ve loved her books since being introduced to them as an adult back in the mid-’70s, and agree with you on Dogsbody as my favorite, though all of them are excellent. My wife and daughter and I were privileged to visit her at her home in Bristol back in 1982 and she was as gracious a hostess as she was wonderful a writer. I’ve never read her books, but it’s always a shame when a creative voice is silenced. RIP, Ms. Jones. I wept when I heard the news this morning. The Homeward Bounders is one of my favorite, all-time books. Very sad news. I loved the Howl books; my personal favorite, though, is the Tough Guide to Fantasyland. I am also saddened by her passing. I was first introduced to her by her excellent book, Archer’s Goon, and was able to enjoy Howl’s Moving Castle with my daughter. What we fail to mention (except when great writers pass) is the connections they produce between generations in families. I may not have met this fine author but I have enjoyed her works. Very sad – one of my favourite authors as a child. Since no-one’s yet mentioned, try ‘The Ogre Downstairs’ for a unique look at adjusting to a new step-parent! I discovered her work as an adult, when I introduced them to my son. She wrote amazing books, weird, heartfelt, and funny. One of Dianna’s friends has confirmed it on the DWJ email group that I’m in. She’s my favorite YA author and one of the main reasons I’ve continued to read and write YA well into adulthood. It wasn’t unexpected but it’s still indescribably sad. I urge all of you here that haven’t read her to try her work – start with Deep Secret if you can find a copy. Oh. This brought back a warm rush of childhood memories. Perhaps I should give the book a nostalgic reread? A wonderful writer who I always felt was sadly underrated. I’m pleased to learn that she has more fans than I knew. I always thought one of the best things about the Harry Potter books (which I enjoyed) was that after they became popular, Dianna’s books became easier to find in the stores. She never restricted herself to one format, her books had themes running through them, but they were usually quirky and very enjoyable. The last book I read, Enchanted Glass was still very good, she left a long legacy of excellent books. I’m deeply saddened. I stumbled across Diana Wynne Jones’s stunning “Power of Three” at age twelve, and she became my favorite author, and has remained so ever since. Even in a largely comic novel like “The Ogre Downstairs,” she always showed true insight into character, and refused to followed genre conventions when it would hurt the work. And often it’s the little things that stay with us the longest: the delight she showed in the names in Cart and Cwidder…the love for the sea in Drowned Ammet…the character who walks around half-asleep in Deep Secret… And the cats. Dogsbody was one of my very favorite books as a kid, it was one of the books that made me love reading and become a writer. So sad to hear of her passing. :( Somehow, I always fall into the trap of thinking that my favorite authors will keep writing forever. She’s been a favorite since I was about 10. Her take on Tam Lin was also very good— Really, there was never a DWJ book I didn’t like… Though Howl is still my favorite, from nostalgia as much as anything else. I always keep 2-3 copies on hand so I can lend them out without permenantly losing it. And I just reread Witch Week last week, after I came across it on a forgotten bookshelf. She’s one of the underrated greats, IMO. The name is so familiar to me; I’m sure I’ve read some of her work, but I just scrolled through her bibliography and found nothing I recognized (other than “Howl’s”, which I know only from the film..) I wonder what I’m missing. I’ve been reading her off-and-on for at least 30 years. My mom got me The Magicians of Caprona when I was pretty young…it must have been a new release at the time. The Homeward Bounders and Archer’s Goon are too of my all time favorite books that I reread every few years. I went on a DWJ reading spree last year, and finally read Howl’s and the Dark Lord, among others. I’m glad there’s still a long list of books I haven’t made it to. My adolescence will forever be tied to reading DWJ books, particularly Deep Secret and Dogsbody. Deep Secret came to junior high with me in my backpack a number of times – I don’t know how many times I’ve reread it. As a female sci-fi/fantasy writer, she has always been one of my role models. Every time a favorite author dies I am bereft. And angry. Very angry. Its selfish and irrational. But I hate that there isn’t another creation from this person just over the horizon that I will be able to discover. Its over. There are so few who create something worthwhile. Something that steals into my psyche and lives there. So despite not having any particular faith, I feel the need to scream at the powers that be and tell them exactly what jackasses they are for doing this to me. Like I said – its a very selfish feeling. Her books are magical. Apart from the strong characters and plots mentioned above, I can think of maybe one author (and that’s Pratchett) who has made me laugh as much. I’m going to have to say that Howl’s Moving Castle is my favourite. That’s what my eight year old self always said, and I’m not arguing with her today. And here I was just starting to dig deeper into her works. Archeology is so much sadder than blasting through someone’s back catalog to get caught up in preparation for their next new thing. She will be missed . . . Very sad to hear this. I’ve loved her work for many years and when I had the chance to meet her at her home I found her lovely and gracious in person. My wife is one of several British fans to have inspired a cameo appearance in Deep Secret. Miyazaki’s film Howl’s Moving Castle added material to the written story but it was entirely consistent with Jones’s vision (he showed the war which happened between the original novel and its sequel). Jones herself approved entirely of his work. This is so sad, but not unexpected. Her poor family and friends. I know she’s been ill for a long time. Those of you who haven’t read her books are in for a treat if you decide to do so. She’s such a wonderful imaginative author. Her books are a delight. And so varied, as you can see from the different favorite books mentioned in the comments. My favorite was The Merlin Conspiracy. Thank you Mrs. Jones for so much pleasure over the years. Rest in Peace amongst your favorite characters. Here’s an autobiographical article she wrote a while ago. I hear you, but there’s something else. Diana Wynne Jones, unlike too many other good writers, didn’t die forgotten and in poverty. She knew how deeply respected – and loved – she was by her peers and readers; I’ll always have her wise, funny and delightfully MAD books on my shelf, and they’re a better memorial than any lump of stone. I regret that I will never have another opportunity to tell her how much I loved all of her books–especially (for me) The Magicians of Caprona and Power of Three. But really, I’ve read them all . . . and they were all wonderful. DWJ was one of the fantasy authors my mother introduced me to. I started reading her books not long after they started appearing in Australia, when I was a bit younger than her heroes, and kept reading. I thought her best books were the ones intersecting with a definite real-world time and place; unfortunately these are becoming dated and probably won’t survive far into the future. She will still leave a great legacy. There is little I can add to the richly-deserved paeans of praise above; for myself, my wife, and particularly my eldest son, she was the best fantasist of the last thirty years. It always surprised us when the Harry Potter books were regarded as ground-breaking; good as they are, they are hardly innovative in the way Homeward Bounders or Fire and Hemlock or Chrestomanci or Howl or so many others are. My son would insist that her best work is Hexwood; like the wood itself, the book is strange, and hard to penetrate or understand, but amazing. We always waited for her new output in great anticipation, and in a household filled with books where good literature is prized, they were frequently given the ultimate accolade of being reserved for Birthday or Christmas presents. The advantage of being a Young Adult librarian was being introduced to great works for teens that I had missed in my actual teens. I was delighted to read Archer’s Goon, and enchanted by Dogsbody. I’ve read several other titles of hers since, but still have more to look forward to. As for the Harry Potter series, I’ve noticed that the people who call them innovative or original tend to be people who don’t normally read fantasy. This led to another pleasure of being a YA librarian: pushing books by Diana Wynne Jones on readers who enjoyed Harry Potter. 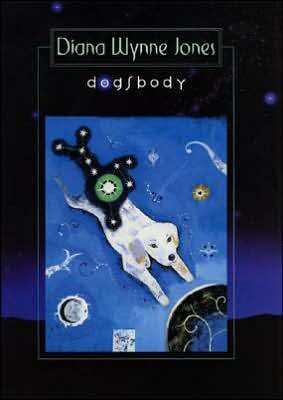 One of the books that stands out in my memory as a young reader is Dogsbody. For years I tried to find it, but it was out of print for a long, long time. 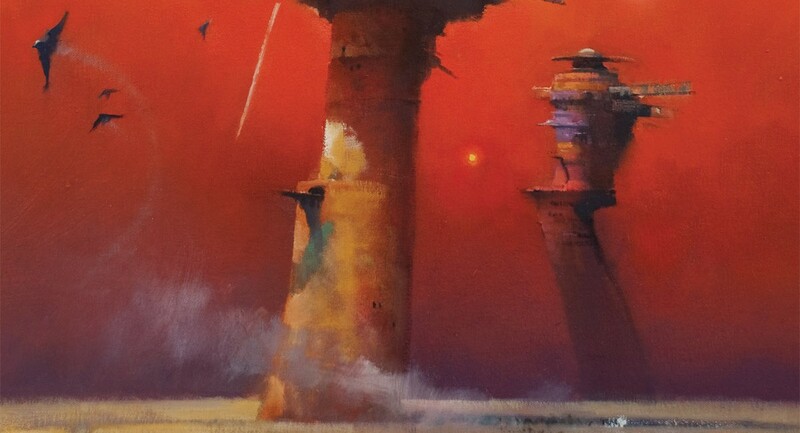 I read it in the late seventies, and it was unlike any other book in SF/F that I had read. It had a bittersweet ending, a female (girl!) protagonist, and a deep love running through its pages. I finally found a new copy, and it was as wonderful as I’d remembered. I’m going to miss her ongoing, quirky, deep, lovely imagination. RIP Diana. I was introduced to her work as a college freshman with _Charmed Life_ and followed that on to _Witch Week_ and many others. _The Tough Guide to Fantasyland_ beautifully calls out fantasy stereotypes and ought to be required reading for anyone who plans to write in the genre. I’m sorry to of her death, and hope that her last days were peaceful and pain-free. And I am very grateful that she has left such a large legacy of books that I will continue to be able to track down and enjoy ones I have not read for some time yet. Oh, very sad. Witch Week has a special place in my subconscious; I have no idea how many times I’ve read it. I think it’s time to reread all the Chrestomanci books. Dogsbody was my favourite book too. When I read it (borrowed from the library) it was out of print. I was so desperate to own a copy I wrote to Diana Wynne Jones (via her publisher) and she very kindly sent me a copy together with a letter. This was over 30 years ago! My parents are checking at home to see if they still have the book and letter in it – I hope so. Dogsbody was my first of her books too. I wrote a book report on it in fourth grade. Witch Week hooked me to Diana Wynne Jones addiction and has been read over and over again. I’m so sad she’s gone, and so grateful for all she has written. Just bought a copy of Witch Week at a yard sale and can’t wait to share this author with my students.